ETLG Inertial Aerosystems: The HG1120 is a low cost MEMS based Inertial Measurement Unit (IMU) designed to meet the needs of a range of applications across various markets including agriculture, AUVs, industrial equipment, robotics, survey/mapping, stabilized platforms, transportation, UAVs, and UGVs. With industry standard communication interfaces, extremely small size, light weight, low power and a wide input voltage range the HG1120 is easily adaptable to most applications. The HG1120 includes MEMS gyroscopes, accelerometers, and magnetometers. Three different performance grades of the HG1120 are available as off-the-shelf items. The HG1120 offers configurable features, such as output data rate and feedback control signal filtering, to simplify system integration. 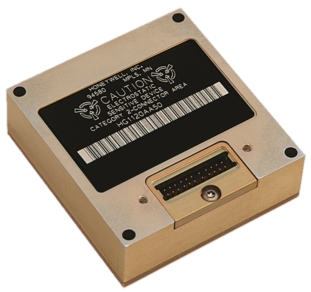 Honeywell screens and calibrates all of the MEMS inertial sensors utilized in the HG1120 IMU. A fully functional evaluation kit is available.